Deciding where to go for your family holiday can be a difficult decision. With 6 weeks of school holidays to fill, the choice of holiday destination is important to ensure that precious family time is packed full of fun and adventure. I would recommend trying the Cairngorms National Park, it is awesome. There are so many choices of children’s activities for all ages. 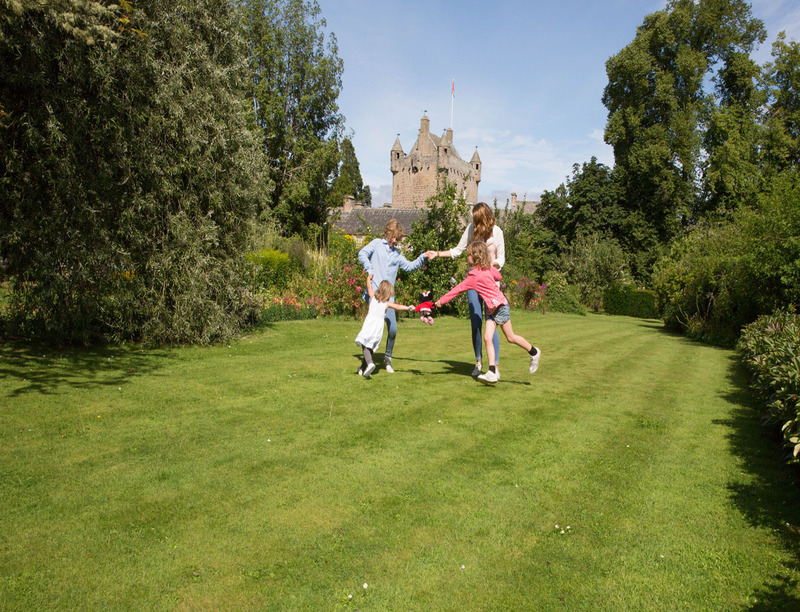 Enjoy Scottish castles, either for their beautiful gardens with plenty of areas to run and roll down hills or the castles for their history to tap into the children’s thirst for knowledge. Family holidays in Scotland, particularly in the Cairngorms are full of brilliant moments, where you once again feel at one with nature. The children leave their computer games behind and escape outside into woodlands, onto bike trails, up the mountains, along the rivers and onto or even into the lochs. 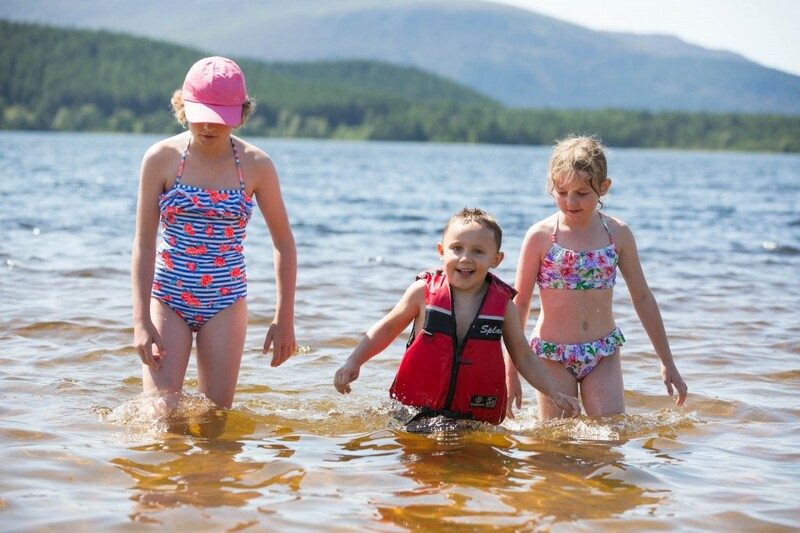 At times you can be enjoying 28 degrees in the Highlands, we have spent the day at Loch Morlich (a loch at the bottom of the Cairngorm mountain) sat on the beach with a shimmering loch in front of us and mountains all around. 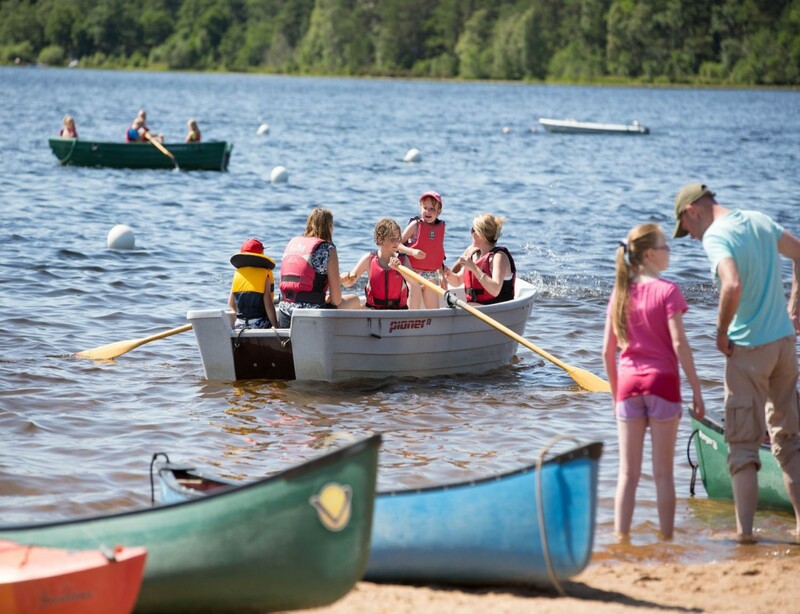 The children dug in the sand, swam in the loch and rowed in the boat around the loch, a magical family day. Family activities are readily available in many areas of the Cairngorms, in particular Rothiemurchus, Craggan Outdoors, Full on Adventure and G2 Outdoor. All offer a wide range of action-packed options to entertain the family, from quad trekking to archery and pony trekking to river tubing. The terrain of the Cairngorms lends itself to bike rides of all levels, take the toddlers in the trailers along the bike tracks around Loch an Eilein or take your teenagers seeking a thrill on the mountain bike descent on the Cairngorm mountain. Throughout the month of August there is added value in the plethora of Highland Games and Shows that are organised all over the Highlands. 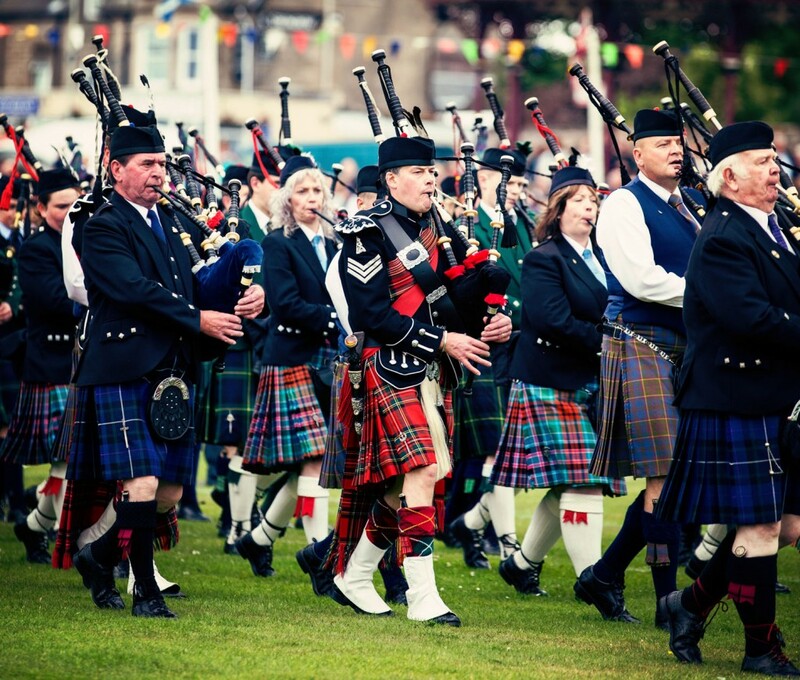 As a family we have previously enjoyed Nairn’s Highland Games and the Abernethy Highland Games, the Black Isle show and the Grantown Show throughout August. Each event opens up a world of tradition and culture, have you ever seen anyone toss the caber, or a tug of war team in thrust? I remember my hairs stood on end as regional pipe bands joined together to parade through the streets to play enchanting traditional Scottish bagpipe music, dressed in their full regalia of kilts, sporrans and ghillies. Pipe Bands parade at the Highland games in Nairn. All of this and more, is on the doorstep of Muckrach Country House Hotel. 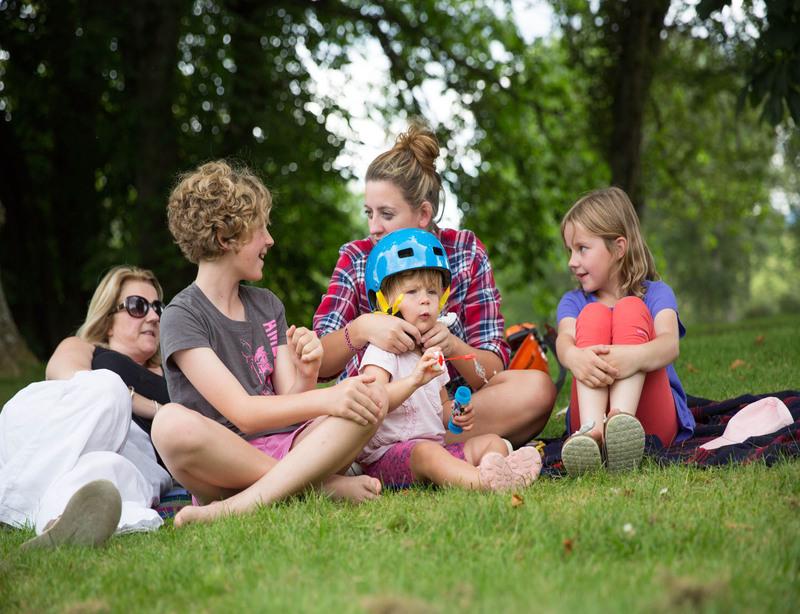 We are family friendly, we can help you organise your activities to make sure you make the most of your family holiday. If you’d like to find out more visit www.muckrach.com or call 01479 851227.